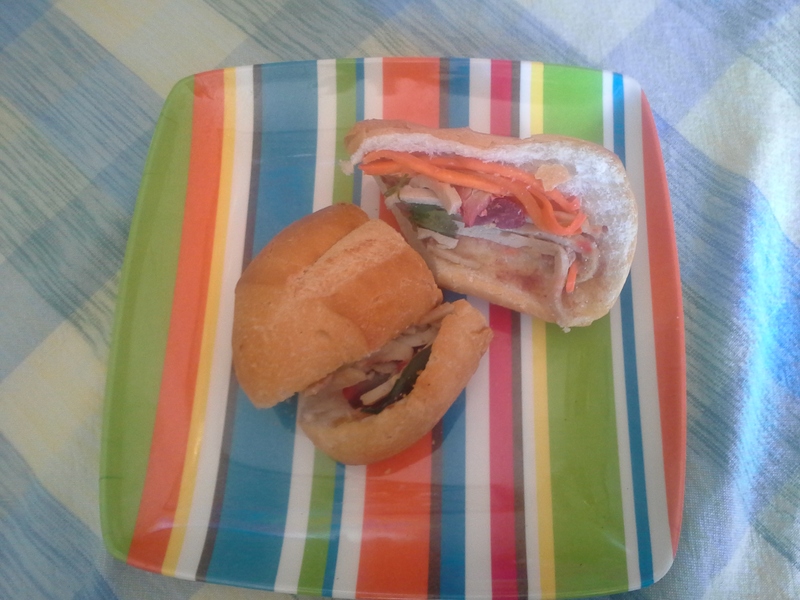 At a recent Les Dames meeting, I enjoyed an amazingly delicious bánh mì sandwich. I couldn’t absolutely identify everything layered in the split baguette (though I know there was jalapeño, carrot, pork, and cilantro), but the flavors and textures balanced perfectly. There were leftover sandwiches at meeting’s end and I was lucky enough to take a few home with me. These sammies have served well as quick lunches, but the bread is starting to get tough. 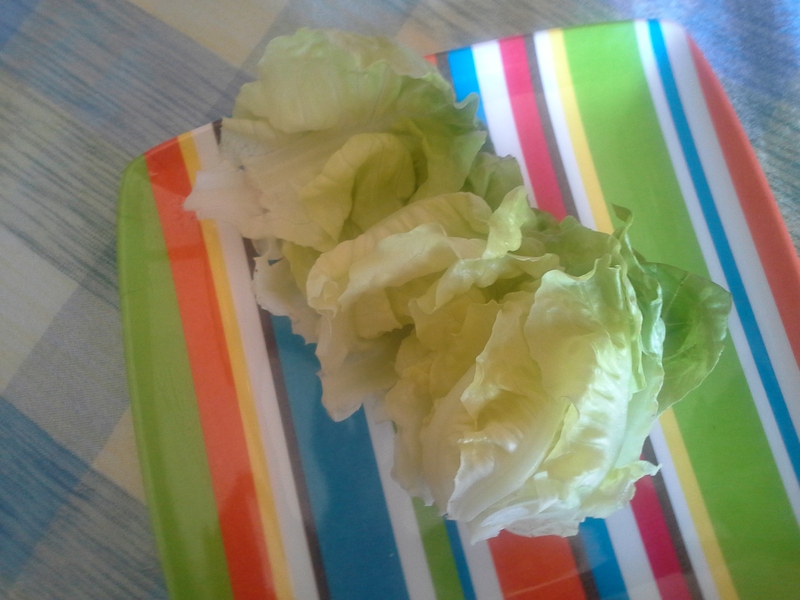 The thought of tossing something so delicious was too much to bear; instead, I spooned the filling into butter lettuce leaves for adorable little lettuce cups. A pre-lunch ice cream while shopping (it was HOT today–don’t judge me 😉 ) meant I needed a lighter lunch option. These flavor-packed small bites were ideal. 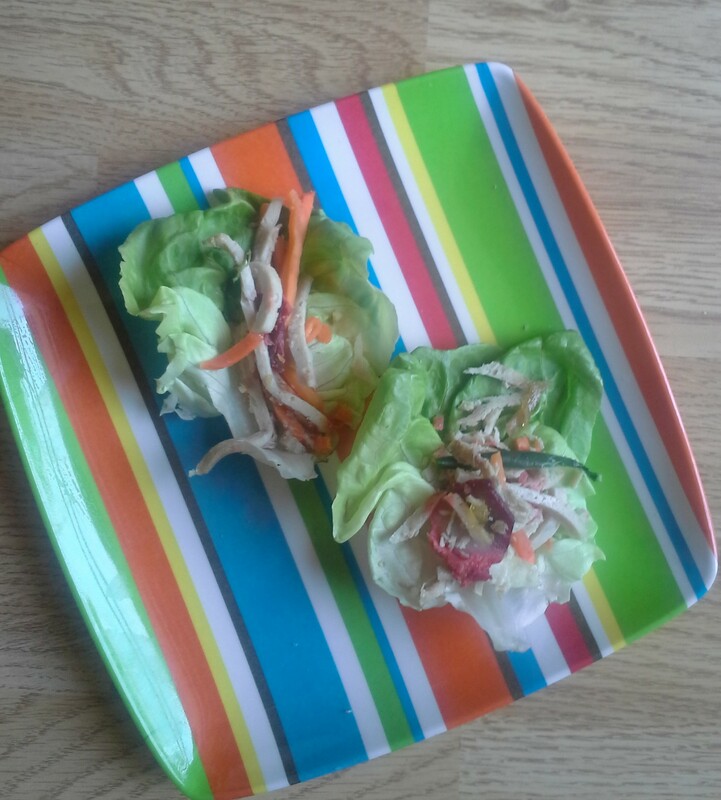 Because I hate throwing food away, I’ve since pulled out the soft, soggy insides of the French rolls and whirred the stale bread shells in the food processor. These bread crumbs will store in the freezer until needed. When you have a sandwich this good, you need to get as much life out of it as you can.